Recently a friend posted this hilarious video of Jim Cummings, voice actor for Winnie the Pooh and Darkwing Duck among others, using his powers for evil. 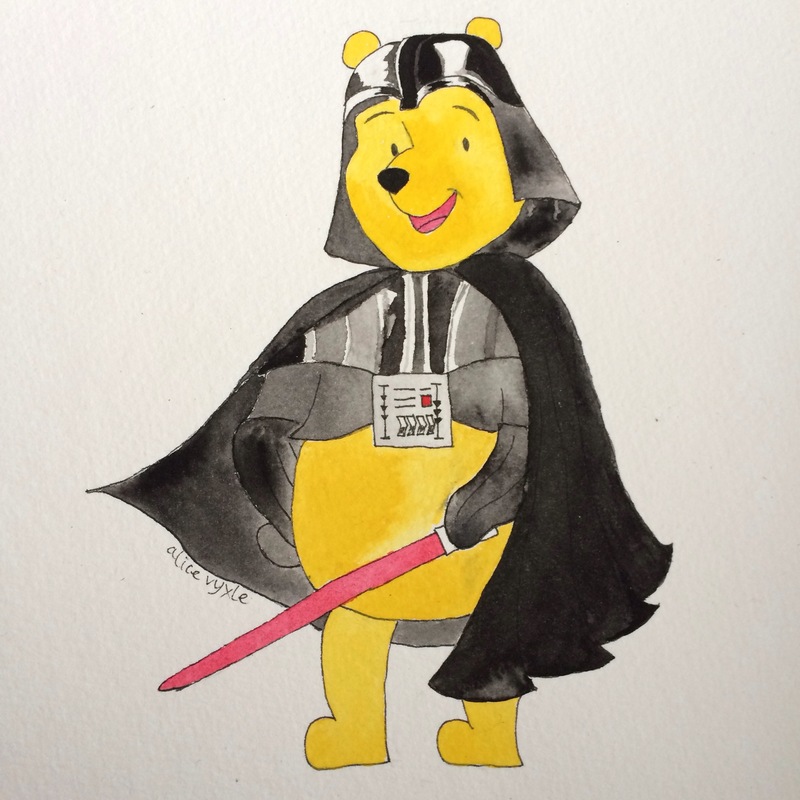 Or the Dark Side, at least–reading the lines of Darth Vader in the voice of Winnie the Pooh. What’s a girl to do but paint the mashup? I do love mashups! What do you think? What characters should I combine next? This entry was posted in Art and tagged Art, cute, dark side, darkwing duck, darth, darth pooh, darth vader, illustration, jim cummings, my art, pooh, star wars, video, watercolor, winnie the pooh. Bookmark the permalink. 2 Responses to Today’s watercolor: Darth Pooh! Alice! I brought you up to know better! This is Pooh desecration on many levels!